Michael and Michael really want to know where the donation of Dragon Oolong Tea a while back came from... so if you're the source, let us know! 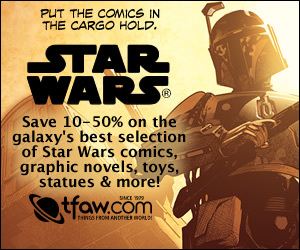 Voicemail: thoughts on reusing characters from other authors' worlds and on reprinting old comic strips; Charles in TX recommends The Ten Cent Plague for those interested in more info on the 1948 comic book scare that Tim Low mentioned in C2C #313A; a question asking about more info on Disney and the copyright extension issue (there ain't enough time, folks! ); Andy from FL weighs in on the Sony e-book reader (he loves it), and Stackpole talks about the royalty disparity that may exist for Kindle sales, and about the new iPhone/iPod Touch app for e-books that will be available on July 11th; Trampas calls in a Public Service Announcement warning people against eating meals while listening to Scott Sigler's Infected. 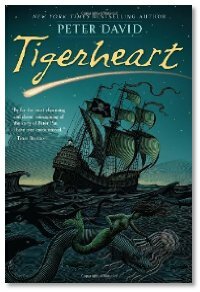 Interview: Michael, Summer and Michael talk with Peter David about his latest novel, Tigerheart, which is a fairy tale written in the spirit of J. M. Barrie, but not directly about Peter Pan. Peter also talks about the Barrie legacy, and about how many more stories about Peter Pan may be coming out since the story and characters have now moved into public domain. Dragon Eye Oolong tea - I'm not sure where the original donator got it, but a company called Revolution makes it. You can find it at AJ's Fine Foods.